This expertly curated fireplace surround is a balanced collection of clean lines, soft curves and complementing Mediterranean-inspired design elements. A touch of elegance with a side of culture to amp up any room. The best part? 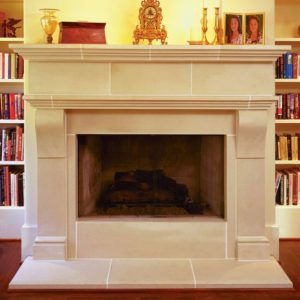 Majorca fireplace mantel offers luxurious detailing at a highly reasonable cost! 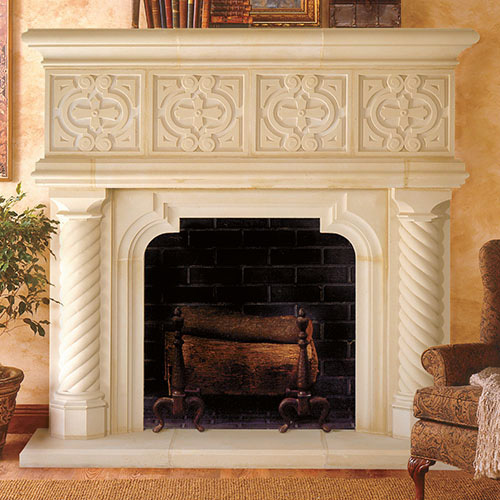 It, like each of our quality mantels, are a cast composite that replicates the highest quality of limestone. This man made limestone process has been around over 600 years. While labor intensive, the finished mantel is so similar to cut limestone it’s hard to tell the difference and the price is a fraction of the cost of cut limestone.